The Colorado Symphony marks the beginning of a new era on Friday, as conductor Brett Mitchell officially begins his tenure as music director. Listen at 7:30 p.m. Friday for a live broadcast on CPR Classical from Boettcher Concert Hall in Denver. Hear it at 88.1 FM in Denver, 99.9 FM in Boulder or online at CPRClassical.org. Mason Bates: "The B-Sides: Five Pieces for Orchestra"
Mitchell, a 38-year-old conductor whose previous post was with the Cleveland Orchestra, begins a four-year term with the symphony on Friday. The Colorado Symphony's Friday program will be repeated on Saturday and Sunday at Boettcher Concert Hall. 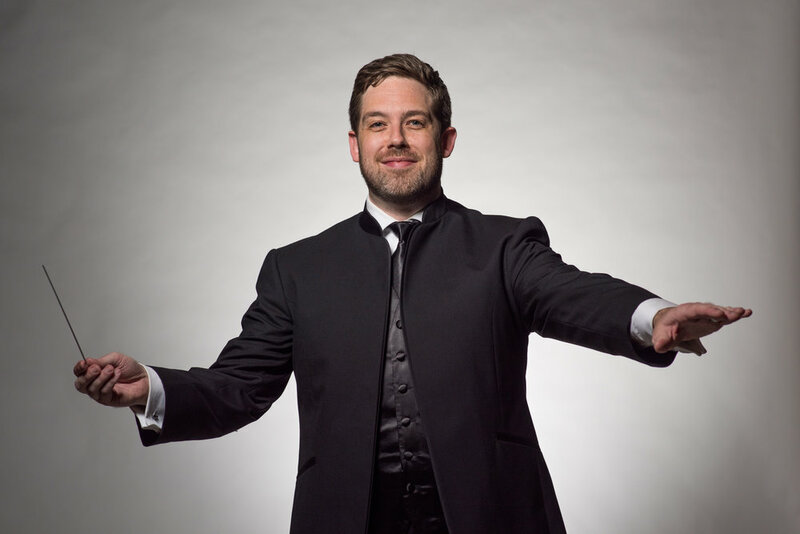 Older PostAudio: "Conductor Brett Mitchell Gets Set To Lead The Colorado Symphony"